this one fell into my basket. nah! just kidding... how could I resist this pretty little tisty toasty heart from lush? the labelling is so cute as well. are you yet to find your perfect man? this bath bomb may give you your big shot - for all you big believers in such things such as spells anyway. 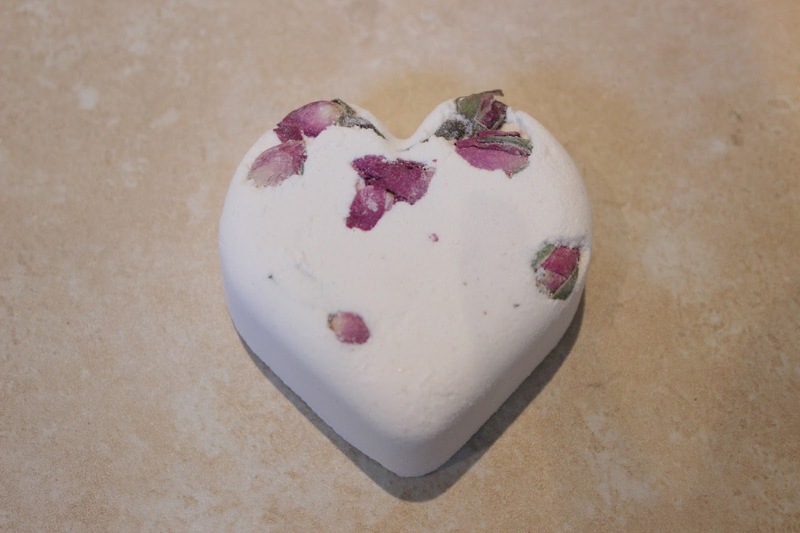 on the packaging it states that the ballistic is 'a love spell' and asks you to fill the bath and then to get inside and hold your bath bomb in your hands whilst contemplating your chosen one. Lower into the water to unleash its powerful magic. 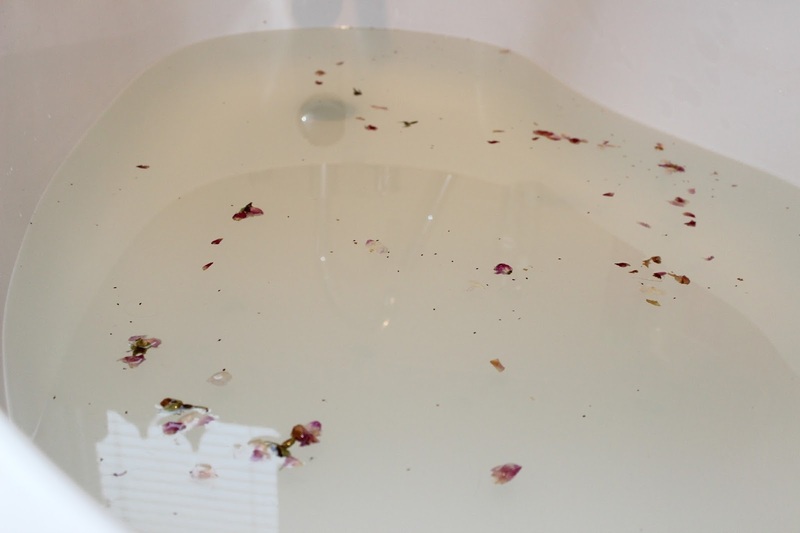 Watch the seven rose buds emerge from the swirling potion and count your way to a budding romance. I love anything like this. I love spells, crystals, mermaids, unicorns. my dad would sat that I live in my own bubble. meh. POPS. so I popped the bath bomb into the bath and held it within both hands as I thought about that special one. no! I'm not telling. whilst watching the rose buds twirl as they were released from the magic potion. the room felt so peaceful and smelt so pretty. a lot of people slated this bath bomb as it's 'boring' SHOCK. it's one of my favourites. I love anything girlie and pretty and the scent of roses in this is so beautiful and it really makes you feel all sloppy and emosh. have you tried this bath ballistic? Okay so I've tried and I really can't stop reading this as 'titsy' so I just can't take it seriously haha. It does look like a lovely product though! it's soooo pretty. I want to use it again. looks like I'll be off down to lush at the weekend and haha! imagine asking for it... I'd be screwed LAWL. Super cute! I've actually used this one before and I really enjoyed it! I haven't used this bath bomb in years, is a lush classic!